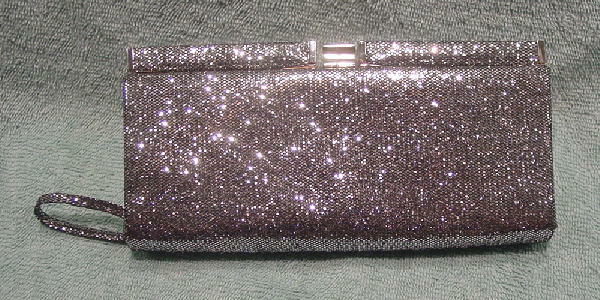 This silvery iridescent glittery metallic thread evening purse has an exterior in a 100% polyethylene and cotton and a light gray lining in 100% nylon. It has a bottom 3 finger side carry strap. The top has a silver-tone snap closure. It was used once, in a photo shoot.